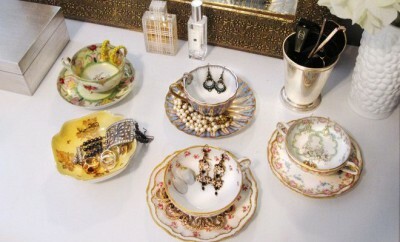 If you have desperately searched for clever jewelry storage ideas, then you’ve come to right place. 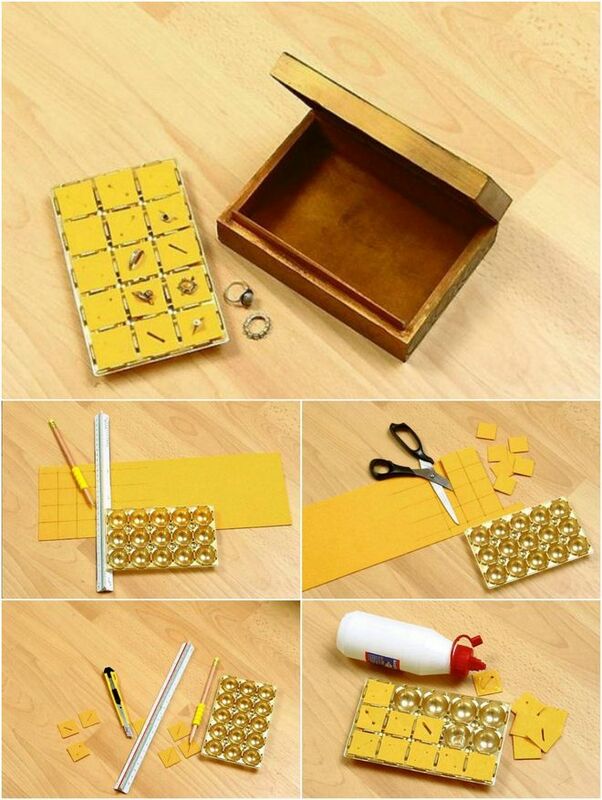 This cute DIY ring storage box is really easy to make and will help you keep your ring collection neatly stored and organized. 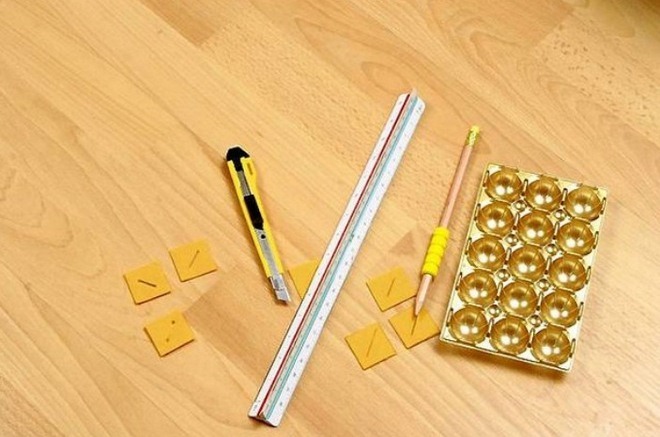 Needed materials: empty chocolate box insert, a ruler, pencil, felt, glue, x-acto knife or a cutter. 1. We chose a 15 piece chocolate box but if you have a big collection of rings you can get a bigger one, as well. Measure and match the felt piece to the chocolate box insert. You can also choose felt fabric and chocolate insert in matching colors. On the felt with the pencil draw squares of the same size as the squares in the insert. 2. Cut the felt along the drawn line. 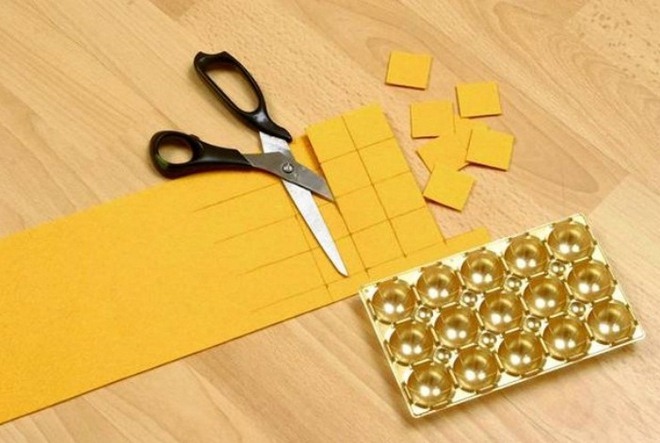 Use sharp scissors to make clean cuts and not tear the edges. 3. On each square of felt make two dots and draw diagonally a short line. Cut in the felt with a sharp cutter. 4. 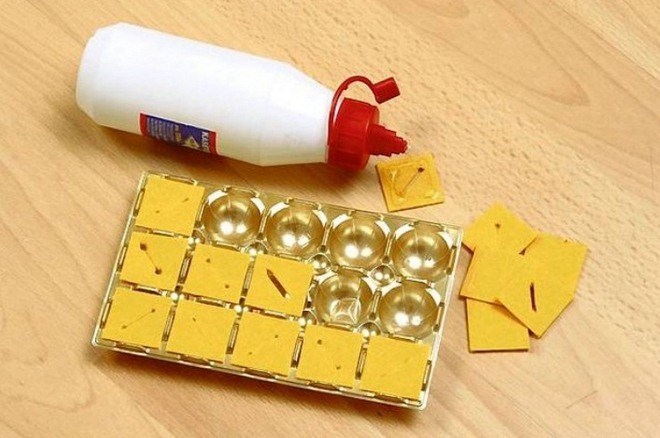 Apply glue on the felt squares and paste them into each mold. 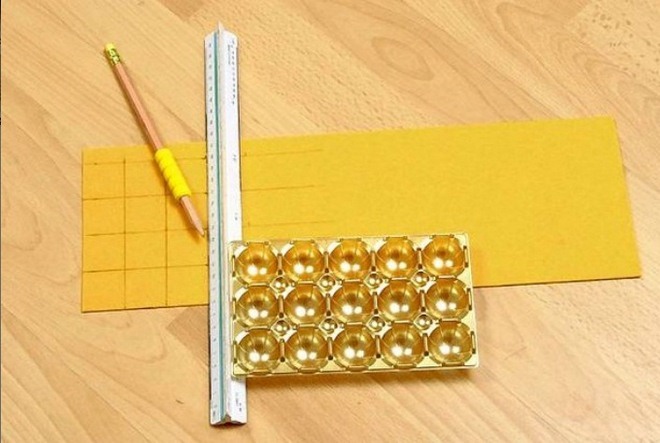 Try to do it very evenly, so that the result would be better. 5. 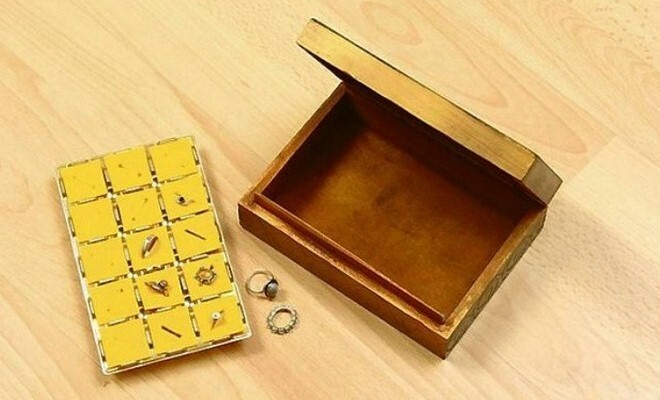 Put your rings in the holes and place the ready ring storage in an empty wooden box. 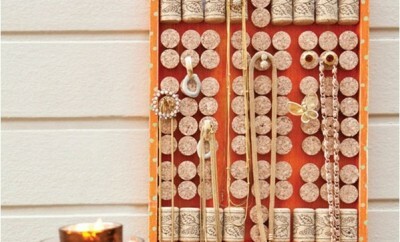 Your diy ring storage box is ready! ← Previous Story DIY woven gold chain ribbon necklace to make a statement!